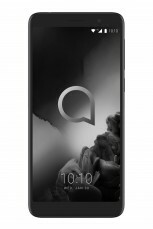 This year at CES alcatel has brought two Android phones for the masses. Both have 18:9 screens, which offer slightly more screen real estate while keeping the phones relatively compact. These two choose sensibility over vanity and go with grippy, fingerprint resistant backs instead of trying to fit a metal cover in this budget. 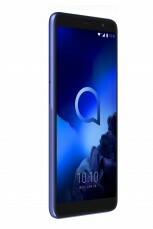 The alcatel 1x (2019) brings a larger, sharper display than last year’s model. The 5.5” display has a 720p+ IPS panel and is guarded by 2.5D Dragontrail glass. Not bad for the budget, which is $120/€120. It even upgrades the rear camera – the 13MP main module is joined by a 2MP depth sensor for bokeh effects. It can record 1080p/30 video, though you might want to put a microSD card in as the 16GB of built-in storage isn’t much. The phone is powered by the same chipset as before, a MediaTek MT6739 (quad Cortex-A53), though the CPU is clocked higher than before (1.5GHz vs. 1.3GHz). It’s paired with 2GB of RAM and runs Android 8.1 Oreo (not Go edition). The good news is that the battery capacity has been increased to 3,000mAh to help with the larger screen. 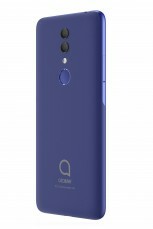 The alcatel 1x (2019) has a 5MP selfie camera, which now supports face unlock. There will be two versions of the phone – one with a fingerprint reader and one without. The latter will rely on the selfie camera. You can check out our alcatel 1x hands-on for more info. 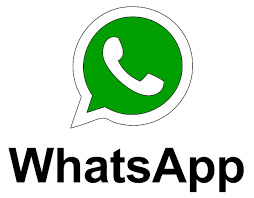 The phone will be available this quarter in North America, Europe, Asia, the Middle East and Africa. 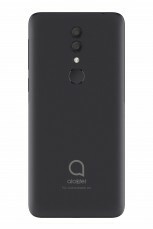 The alcatel 1c is an Android Go Edition phone. It will cater to emerging markets with a price tag of just €70. The 1c is a fairly small device with its 5” 18:9 screen (480 x 960px). Inside is a quad-core processor with 1GB of RAM and 8GB storage, plus a microSD card slot (up to 32GB). Of course, Go apps have been optimized for light resource usage. The phone has a single 5MP camera on its back (720p/30 video) and a 2MP selfie camera. Connectivity features a 3.5mm headphone jack and a FM radio receiver, but this is a 3G only phone – no LTE. The alcatel 1c is coming to Asia, Latin America, the Middle East, Africa and Europe.